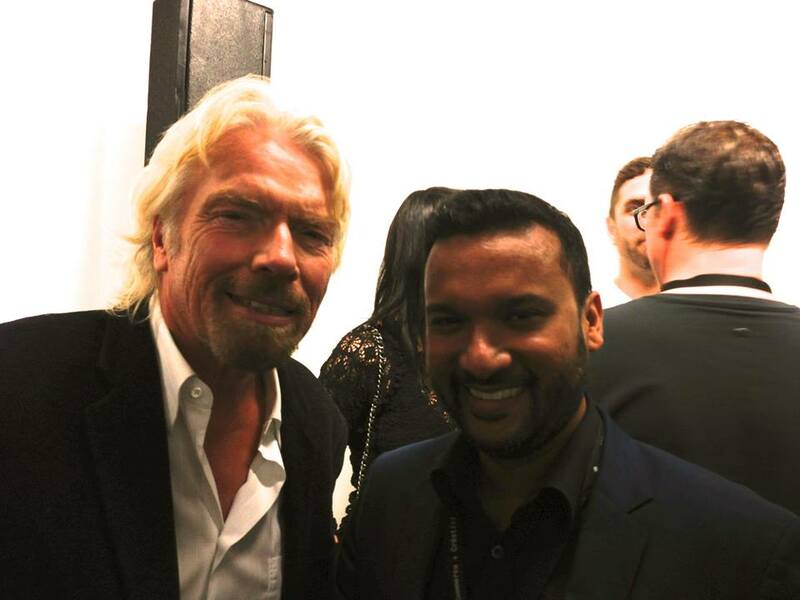 Afdhel meeting one of his heroes, Sir Richard Branson at the C2 Montreal Conference. 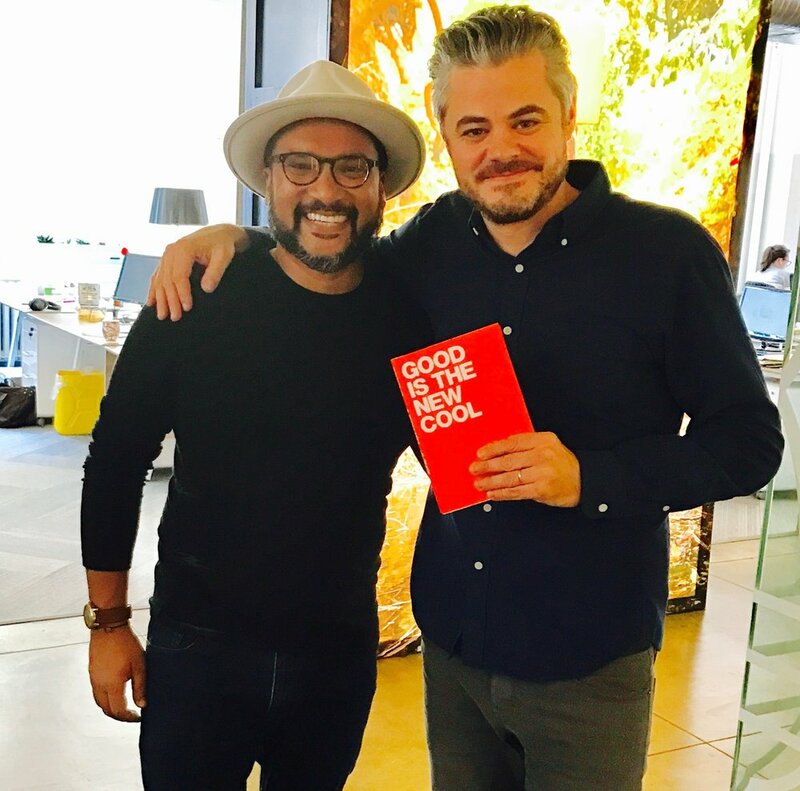 He is the co-author of the best-selling book Good is the New Cool: Market Like You Give a Damn which explores how brands like Warby Parker, The Honest Company and Zappos attract loyal customers through their mission of ‘doing well by doing good’ - and also retain the best talent by helping employees find meaningfulness in their work. Afdhel with Tom's Shoes Founder Blake Mycoskie (wearing the pair of red Tom's Shoes he got married in). Afdhel with non-profit Charity:Water Founder Scott Harrison in New York. Afdhel with Bobby Campbell, Lady Gaga's Manager at the Ad Age House in Bel Air. 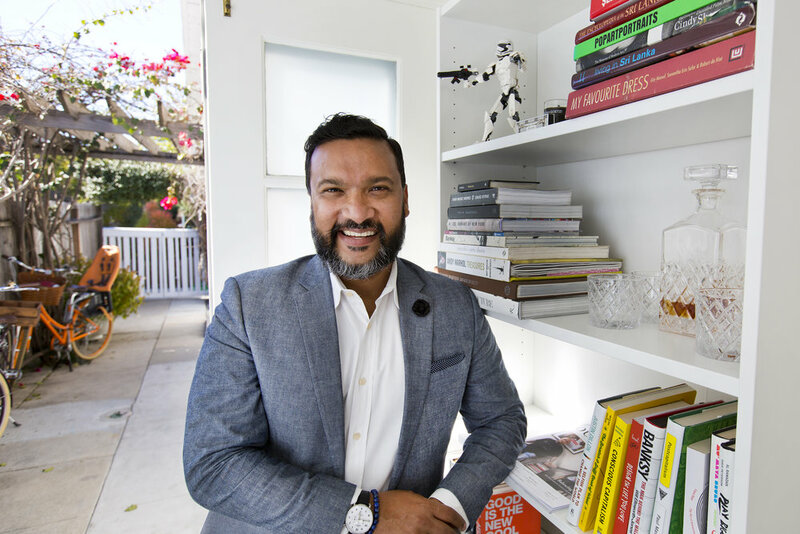 An expert on brand partnerships and pop culture, he has worked with world-class artists such as Lady Gaga, Deadmau5 and Kanye West, as well as diverse partners like the TED Conferences, Art Basel, Coachella Festival, and the Andy Warhol Foundation. Examples of his work include Absolut Reality, the world’s first live streamed virtual reality concert; Absolut Deadmau5, a groundbreaking video game with electronic music superstar Deadmau5; and Absolut Open Canvas, which transformed entire city blocks in Brooklyn and San Francisco into contemporary art installations. His work has been featured in the New York Times, Vice, Fast Company, Forbes, Fortune, The Guardian, Coolhunting, Billboard, Hypebeast, Mashable and more. Click here for his Forbes and Fast Company interviews. Watch Afdhel being interviewed on 'Hero Talk' with Joe Anthony.